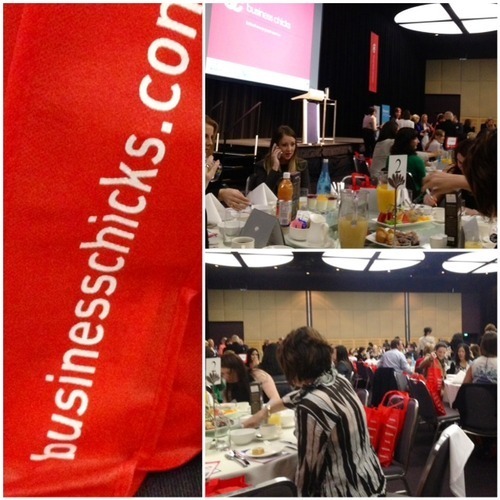 On Friday morning, hundreds of excited, chattering women were ushered into the Convention Centre for a not to be missed Business Chicks event. There was a BUZZ in the air. I-ta, I-ta, I-ta!! Knowing it was going to be a worky, corporate affair, I was sure there would be a sea of black jackets and suits. Most people in the room were going onto the office and sure enough, there were plenty of black ‘uniforms’. I did my own thang of course!! Well, it would be hard to miss this outlandish, AndAndrea combo! It was 6:45 a.m. and not a yawn in sight. Nearly there….Hurry, hurry up! 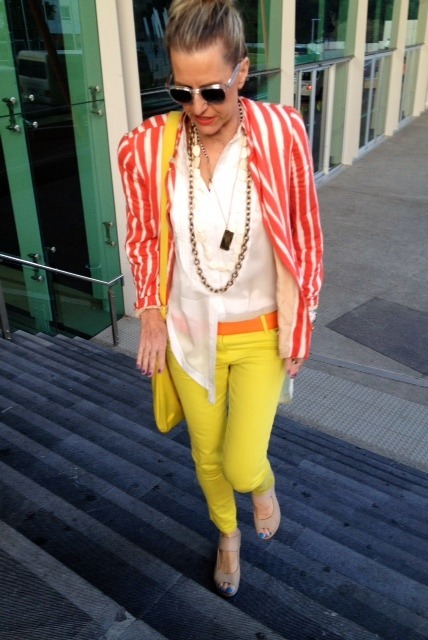 Wonder if Ita will like the sass & bide limesters or the orange striped jacket or the Manning Cartell tail shirt? Hehehe! 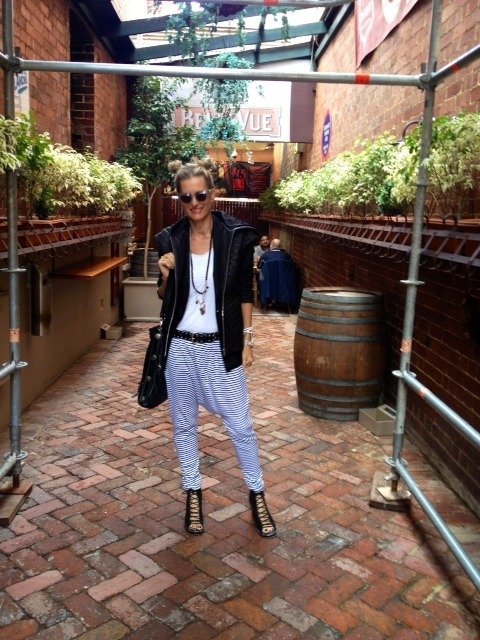 This was my second Business Chicks event. It’s always a treat to hear inspirational women speak. Ita is right up there on my WOW list! Personal and professional development is such a good investment. You learn so much from these incredible women. I’ve also attended Lunchbox Luncheons, Networking Events and a Ruby Connection evening. The talks are always advertised and I urge you to attend at least one event for women each year. 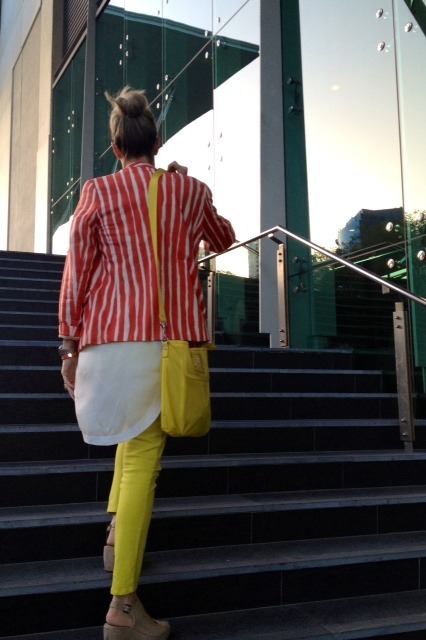 I was ‘dragged’ along to my first luncheon five years ago and it was a turning point for me! These talks are aimed at inspiring ALL women to ‘set sail’ in pursuit of their dreams. After all, anything is possible. ALL women are welcome to attend… stay at home mums included. What a life, what a woman!! So many incredible achievements. 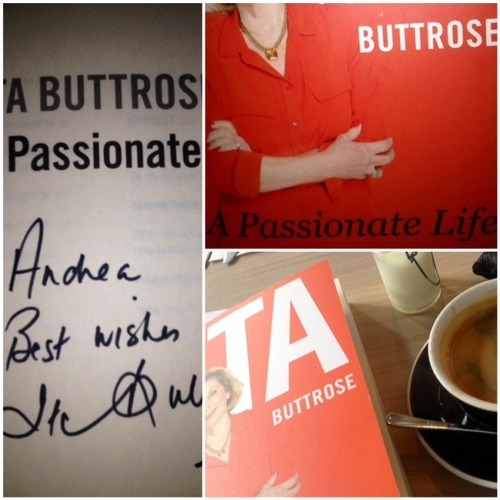 Ita was very generous and open, sharing many behind closed doors stories, about her children, her family and her working career. 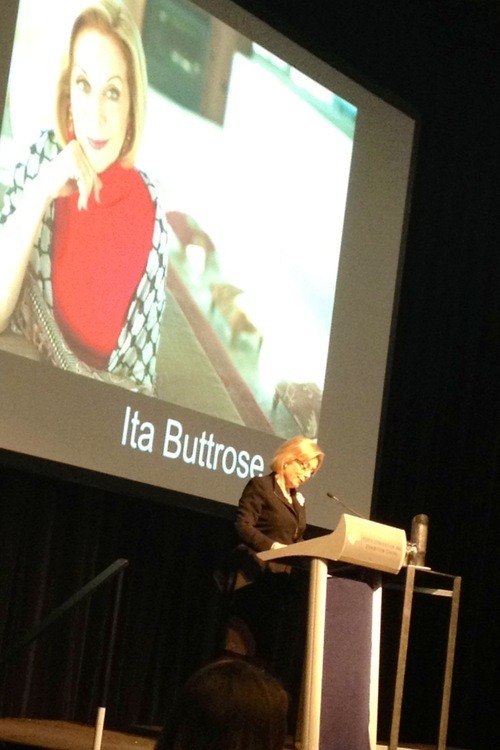 We were all enthralled by her charm, her humour and her passion for life. I MUST meet and chat with this incredibly, inspiring woman. 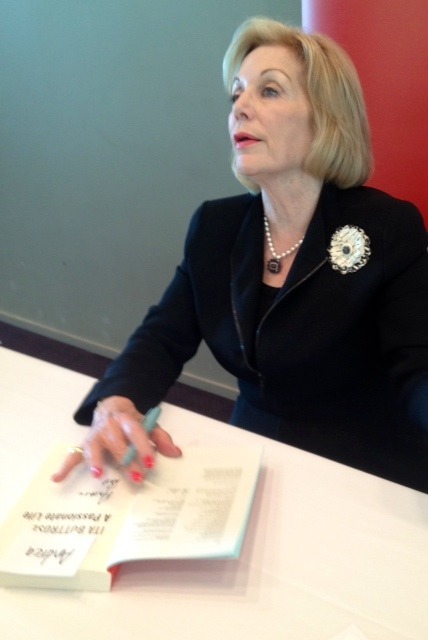 I lined up for my signed copy of “A Passionate Life”. Ita was very friendly and chatty and said she had noticed my jacket!! 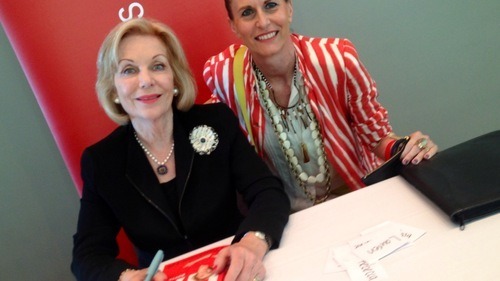 She loved my colourful outfit, and asked where my jacket was from… Vinnies I proudly told her! We had a fab little fashion talk and I complimented her on her peplum jacket. She was chuffed and explained it was a new Carla Zampatti piece that perfectly matched her old skirt! A special 5 minutes! Coffee and de-brief time with the crew! 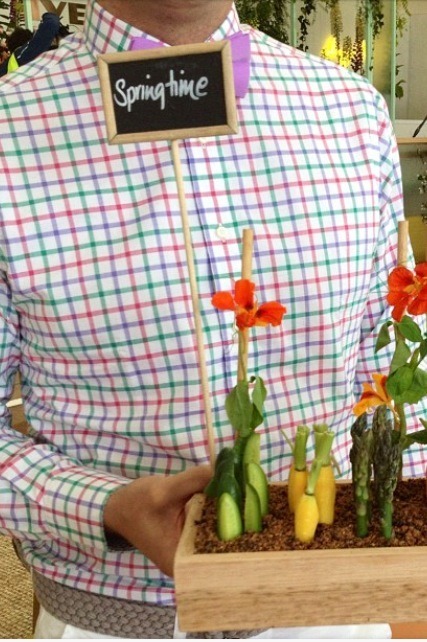 I’m inspired Ita… and YES I CAN! Haven’t subscribed yet? Click this link to ensure you never miss a post. How To Get The Latest Sports Luxe Look!